Through his pen-and-ink drawings, one of the oldest media known to man, Jim commuicates his vast knowledge of sailing ships from the 16th century. The artist has illustrated many books over the years, one of his latest commissions was a book for the Jack London Museum in Oakland. Other credits include his commission by the United States Postal Service to design official cancellations and cachets. At present Jim has designed 28 cachets for stamp collectors throughout the world. He designed the One and and Fifty Year Gold Rush and Statehood cachets for California. 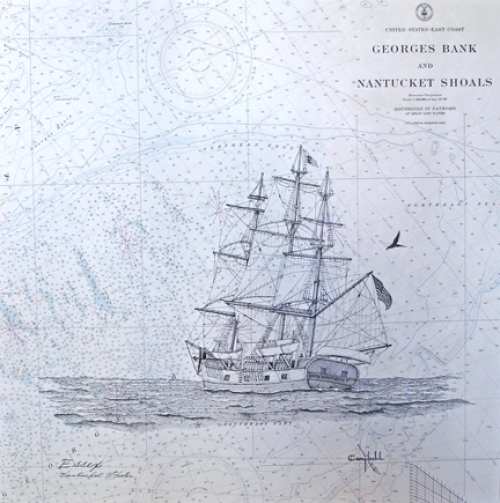 Jim's unique artwork can be seen in San Francisco at the Maritime Museum, the Scrimshaw Gallery in Sausalito, the Boat Works in Carmel, and the Maritime Museum in Monterey. Campbell's pen-and-ink drawings now hang in private collections thorughout the world, including Japan, Hong Kong, Germany, England, Canada and the United States. 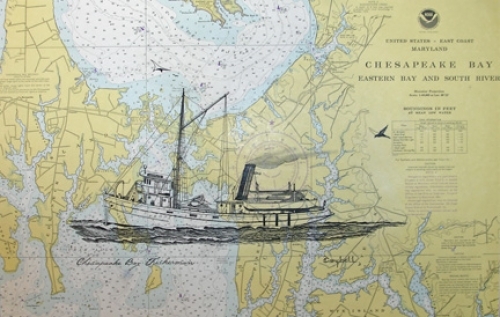 Most recently, the artist has found success in doing his marine artwork on nautical charts. As a self-taught artist with an eye for details, Jim believes the best teacher you can have is enthusiasm for your work. 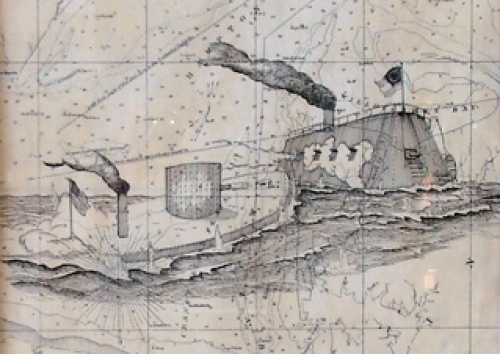 Many of his articles and drawings have been published in SEAWAY's Magazine.